If your flight lands between 11:00PM and 07:00PM you will have to pay a supplement of 50€. 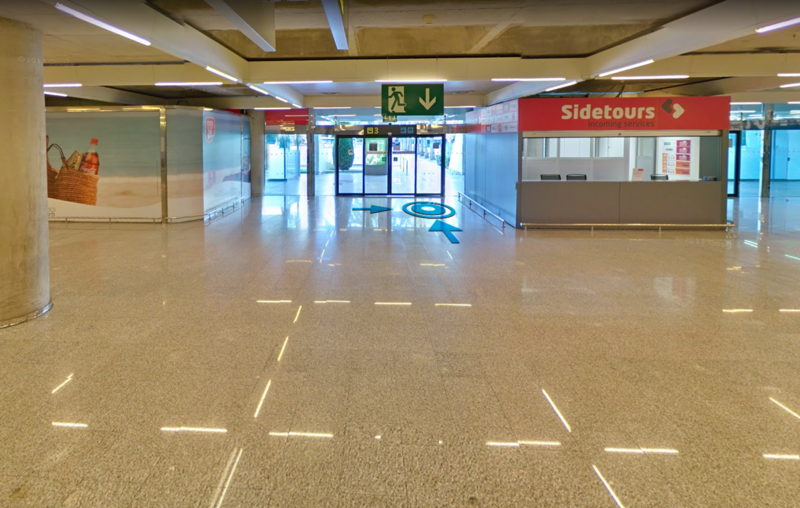 Our free Shuttle Bus will take you from our office in Ca'n Pastilla directly to the airport. 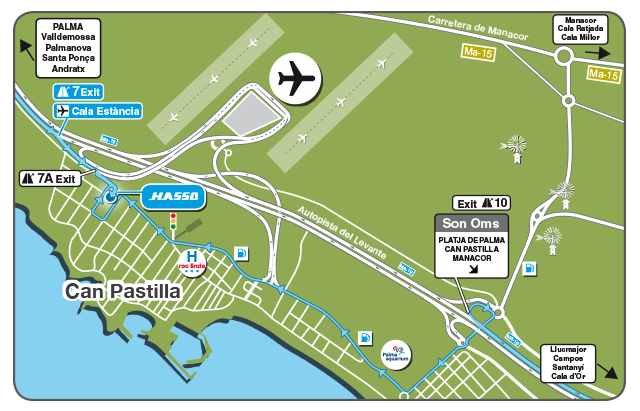 Attached you will find the situation map with the exact address of our office in Ca'n Pastilla, where the Shuttle Bus will be waiting for you. Anyone who knows and appreciates the largest of the Balearic Islands will surely have heard of HASSO Rent a Car, one of the leading car rental companies in Majorca. Due to its more than 50 years of experience, its large fleet of vehicles and its impeccable customer service, this company will be the best ally for your next vacation. Discover the best customer service. Being fast and effective is not at odds with giving a friendly, close and personalized treatment. From the moment you contact us to request information or rent a car, you will receive the solutions and proposals that best suit your preferences, needs and budget. Transparency and honesty are two unrenounceable values ​​for our team. We invite you to check it firsthand. The latest car models. Your holidays in Majorca deserve the best. That's why we put the most recent version of the best vehicles in the market in your hands. You will thus gain comfort, performance, road safety ... and, of course, peace of mind. Do not settle for less! The best value for money on the island. Enjoying the best cars and an attentive and efficient service does not have to be expensive. Check the offers on our website and start planning your getaway to Majorca for much less than you imagine. At HASSO, we know that planning a vacation is not easy. That's why we work to make things as easy as possible when it comes to renting your vehicle. 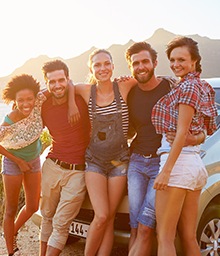 To access our rent-a-car services in Majorca, you only need to have a valid driving license that is a minimum of one year old and be over 21 years old (in the case of some sports or special vehicles, the minimum age of the driver will be 25 years and, the age of the permit, of 3 years). Full-full fuel policy; We deliver the car with the deposit to the maximum and you will have to return it as it was. Do you need even more services? If so, we can offer them to you. We have baby seats, elevators, maxi-cosi, GPS ... Look through our prices and ask for anything you need. You will see how little it costs to get a perfect holiday! 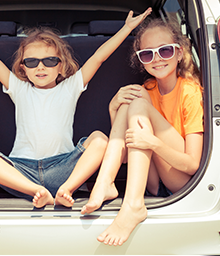 And if you want to return your rental car outside of our business hours, you can also do so, paying a small fee. As for the franchise, the amount ranges between 700 and 1,500 euros, depending on the model. However, you can eliminate it if you sign up for our Super CDW insurance. You choose! With HASSO, the payment method will not be a problem either. You can pay comfortably by credit card (or debit card, if you choose full insurance). You can also pay for the fuel in advance or leave a deposit for it. And most importantly, you will only pay at the time of picking up your rental vehicle in Majorca. Say goodbye to paying money in advance: at HASSO, we wait until you receive the requested product or service. And that's not all: to reward your trust, we have a loyalty program that will allow you to benefit from reduced prices and extra services without added cost, as well as the HASSO Club customer card, with which you will also get great discounts. Haven’t got it yet? One of the aspects that make us feel prouder is the satisfaction and loyalty that our customers show us. Thus, it is not surprising that our company was awarded with the quality seals given out by the German institute DKI (Deutsches Kundeninstitut) to the best valued rent-a-car by Mallorca's clients in 2016 in various aspects, such as price, offer, quality, service, fleet ... At HASSO, we continue working daily to maintain the highest level of quality in all these aspects. In addition, since 2013, HASSO collaborates with passenger transport company ROIG. This family business, with more than 250 professionals, has a fleet of nearly 2,000 cars, renewed annually and among which there is no shortage of high-end vehicles, such as Mercedes-Benz or Porsche. ROIG has been the leading rent-a-car company in the Balearic Islands for 65 years and is known for its excellent service and undeniable quality. Since then, HASSO customers benefit from their knowledge of the market and their undisputed know-how, which makes it a strategic partnership. It is also the only organization that has all the road transport services in Majorca: car rental, minibuses and coaches, taxi service to Palma airport or any other corner of the island, luxury rental vehicles with or without chauffeur, organized bus trips around Majorca... We encourage you to discover everything it puts at your fingertips. On this website you will find all the information related to HASSO’s rental cars in Majorca, as well as an island that, for us, is much more than our home and our workplace. Of course, we also attend and solve all your doubts. Write us at info@hasso-rentacar.com or call us at (+34) 971 43 05 77. We will be happy to talk with you. The entity responsible for the collection, processing and use of your personal data, as established by the Law of Personal Data Protection is the page www.hasso-rentacar.com, property of AUTOS D'OR RENTACAR, S.L.U. - Camí de C'an Pastilla Nº 74 07610 Ca'n Pastilla - Mallorca. Cookies are a set of data that a server deposits in the user's browser to collect standard Internet registration information and data on the behavior of visitors on a website. That is, they are small text files that are stored on the computer's hard drive and that serve to identify the user when they connect back to the website. Its purpose is to record the user's visit and save certain information. Its use is common and frequent on the web because it allows pages to work more efficiently and achieve greater personalization and analysis of user behavior. What type of cookies are there? The cookies used on our website are session and third-party cookies, and allow us to store and access information related to the language, the type of browser used, and other general characteristics predefined by the user, as well as to monitor and analyze the activity that it carries out, in order to introduce improvements and provide our services in a more efficient and personalized way. Depending on their permanence, cookies can be divided into session or permanent cookies. Those that expire when the user closes the browser. Those that expire depending on when the objective for which they serve is fulfilled (for example, so that the user remains identified during the services of AUTOS D'OR RENTACAR, S.L.U.) or when they are manually deleted. This type of Cookie remembers your preferences for the tools found within the services, so you do not have to reconfigure the service each time you visit. As an example, this typology includes: Volume adjustments for video or sound players. The video transmission speeds that are compatible with your browser. The objects stored in the "shopping cart" in the e-commerce services such as stores. These cookies are used to find out what country you are in when a service is requested. This cookie is completely anonymous and is only used to help guide the content to your location. Registration cookies are generated once the user has registered or subsequently opened their session, and are used to identify you in the services with the following objectives: Keep the user identified so that, if you check out, the browser or the computer closes, when re-entering another time or another day to use the service again, it will remain identified, facilitating your navigation without having to re-identify yourself. This functionality can be suppressed if the user presses the [close session] functionality, when the cookie is deleted and the next time you enter the service the user will have to log in to be identified. Check if the user is authorized to access certain services, for example, to take part in a contest. Additionally, some services may use connectors with social networks such as Facebook or Twitter. When the user registers in a service with credentials from a social network, it authorizes the social network to keep a persistent Cookie that remembers its identity and guarantees access to the services until it expires. The user can delete this Cookie and revoke access to services through social networks by updating their preferences in the social network that they specify. The whole of this web page (texts, trademarks, logos, images, as well as the structure, selection, arrangement and presentation of its contents), is protected by Spanish and international laws on Intellectual and Industrial Property. Access to this website, does not imply in any way, license for its reproduction and/or distribution, these activities are expressly prohibited without the express written permission of HASSO Rent a Car Mallorca. This website, among other services, collects a series of links to other websites on the Internet. These links do not represent any type of relationship between HASSO Rent a Car Mallorca and the individuals or companies holding the aforementioned linked websites. HASSO Rent a Car Mallorca is must not be held accountable for the contents published on the linked pages and respects the intellectual property rights that its authors may possess. Any correspondence, purchase of goods or services made by the user with the owners of the linked websites, strictly concerns the user and those owners. HASSO Rent a Car Mallorca is not held accountable, under any circumstances, for any damage that users of this website may cause, for the illegal or improper use thereof or for the contents and information accessible or facilitated through it. HASSO Rent a Car Mallorca does not guarantee that this website will be operational at all times due to the possibility of problems in the Internet network, breakdowns in server equipment and other possible unpredictable contingencies. HASSO Rent a Car Mallorca is not responsible for any direct or indirect damages or losses arising from the use of this website, including damage to computer systems and the introduction of viruses. This website can be accessed freely by users, the use of this page is exclusively personal. Both access to this website, and the use that may be made of the information and contents included, shall be the sole responsibility of the person who carries it out. The conditions of access to this website will be subject to the law in force and to the principles of good faith and lawful use by the user thereof. Any general action to the detriment of HASSO Rent a Car Mallorca or third parties is prohibited. · Publish, disclose, advertise, any material, subject or information with obscene, pornographic, abusive, defamatory or illegal content. · Introduce any type of computer virus, defective files, etc., that may cause damage or unauthorized alterations of the contents or systems of any kind accessible through this web page. HASSO Rent a Car Mallorca reserves the right to suspend access to its website, without prior notice, in a discretionary and temporary manner, for technical reasons or of any kind. HASSO Rent a Car Mallorca reserves the right to modify all or part of the contents on this website at any time, as well as the access conditions. The present General Conditions and all the relationships established between the user and HASSO Rent a Car Mallorca will be governed by Spanish legislation, being competent for the resolution of all conflicts arising or related to the use of this website, the Government and Courts of Spain. The use of this website implies acceptance of the above General Conditions.